This is the new-released SD card V4.0 shield. It provides a storage space for your Arduino. 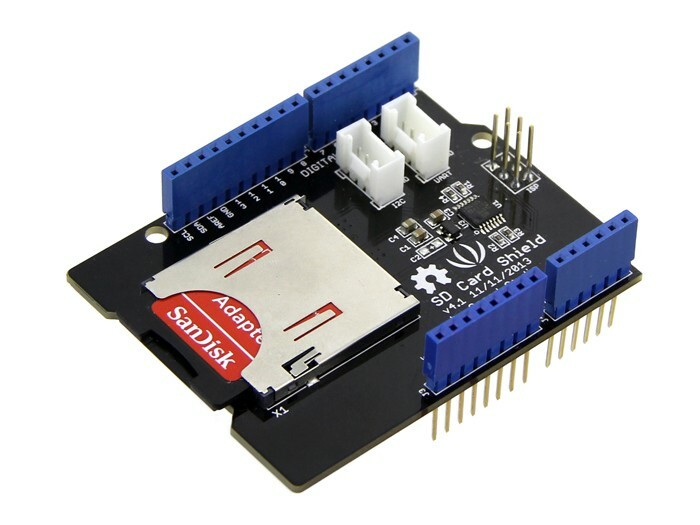 Users can read/write SD card via Arduino’s built-in SD library. It supports SD, SDHC and Micro SD cards. It will only occupy the SPI port of your Arduino. Comparing to previous versions, it combines the standard SD slot and the Micro SD slot into a standard one, the included adaptor enables using of Micro SD cards . You can stack on other shields that work with the unused pins. 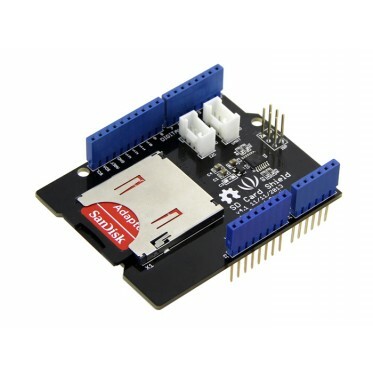 Additionally, the preformed I2C and UART port facilitate your connection with Grove modules.